There was definitely more sales activity in 2015, than we saw last year. However, that may not be unexpected. Take a look at the number of sales broken down by quarter. Notice anything there? It’s pretty obvious that our 2016 sales performance in the 4th quarter of 2016 was way down compared to the previous year. The major event that happened during that time last year was our Presidential election. Every four years, we go through this slowing as we approach a Presidential election. Assuming most years are like 2015, any time of year is a good time of year to sell your Dunbarton home. Despite having fewer sales in 2016, it appears Dunbarton single family home values are holding steady and edging forward ever so slightly. The only price that isn’t higher in 2016 is the median. And it is only $3,500 down from last year. Sellers want to know when they sell their home is they should expect to shell out money for buyer closing costs. Let’s see the trend. Seems that the likelihood of a seller having to give closing cost assistance to a buyer is decreasing. In 2016, the average closing cost assistance totaled $2,365. The highest amount given was $10,440. The lowest amount given, of those that did give, was $5,000. The median amount of those that gave was $6,000. So even if your buyer did need closing cost help, odds are it wouldn’t be crippling. Looks like the time it took to sell a Dunbarton home in 2016 was faster than it had been the year previous. Might have to do with the lack of inventory in the neighborhood compared to 2015. If you are thinking of selling your Dunbarton home, give me a call for a free market analysis. We’ll drill down and see what comparable properties sold for, and what your competitors are asking in their list prices. Since 2005, I have been a full-time, professional Bristow Real Estate Agent. Helping Dunbarton home owners sell is one of the favorite parts of my job. You know you’ve got a great listing to share when, as soon as you finish up downloading the pictures, you want to share them. Why wait until Thursday to share 9450 Cromarty Court with you when I can share it now? This particular home is located on the newer side of Braemar. It is a Parkdale model Carriage home, which is the largest of the Carriage Series. It also has brand new carpet and a fresh paint job. It’s no wonder these homes are so popular. Walk in the front door and you have your formal living and dining rooms. The real popularity of the Parkdale is the openness of the floor plan. There are no walls or columns between the kitchen, breakfast nook and family room. With granite counters, stainless steel appliances and a tile back splash, this kitchen deserves a close up. Laundry room is just behind where you see the stove above. It faces the butler’s pantry, which passes through back to the dining room. A powder room is located on the main level between the living room and family room. Upstairs, you will find four bedrooms and two bathrooms. First of all, all the bathrooms have ceramic tile flooring. The master suite is the one I know you are most interested in seeing. The basement is finished. Most of the flooring here is ceramic tile. You get a large recreation area, additional bedroom (with window well exit) and another full bathroom. Out back is a detached two car garage, fully fenced yard, paver patio and stone grilling area. Best of all, you may like the view of the privately owned farm land. There is no doubt, based on the number of calls I’ve already received on this listing that it is going to go fast. If you want to see it, call your agent and get it to see it Thursday. If you don’t have an agent, give me a call. No One Knows Braemar Better! What a week it has been! I feel like it’s May and I haven’t seen my husband or talked to my friends in days. That’s what happens when buyers and sellers come back out of hibernation. Even though we still have some winter ahead of us, the activity I am seeing tells me that now is the time to capitalize on Braemar buyers who are out and about. Right now, let’s go back to the last two months of 2016 for a look at the sales activity for Braemar townhouses in this edition of the Braemar Townhouse Report. There were eight Braemar townhouses that sold between the beginning of November and end of December. Their prices ranged from $275,000 to $335,000. The average of all eight gives us our new average market value for Braemar townhouses of $310,475. That’s over a 5.5% increase since last report and over a 12.5% increase in average value since last year. If you placed your Braemar townhouse on the market, priced to current conditions, you could expect it to be under contract in an average of 24 days. You could also expect to shell out an average of 2% of the sales price in closing cost help for your buyer. The next Braemar Townhouse Report will be out in March and will focus on the first two months of 2017. Until then, if you want to get the jump on the spring market, call me for a free market analysis of your specific Braemar home’s worth. Since 2005, No One Knows Braemar Better! Statistics compiled using the MRIS (Metropolitan Regional Information Systems. With all the real estate activity I am seeing, it feels like spring. The only problem we are experiencing is a lack of inventory to accommodate the buyers looking to make Braemar their home. Maybe you are about to read this Braemar Property Value Report with the thought that if the numbers were right, this may be the year you sell. If so, call me and I’ll get a much more specific market analysis together for you. For now, these are some very general numbers showing what happening in single family homes, built by Ryan Homes in Braemar. The sales period we are looking back at is November and December 2016. There were two Ryan Homes that sold the last two months of 2016. 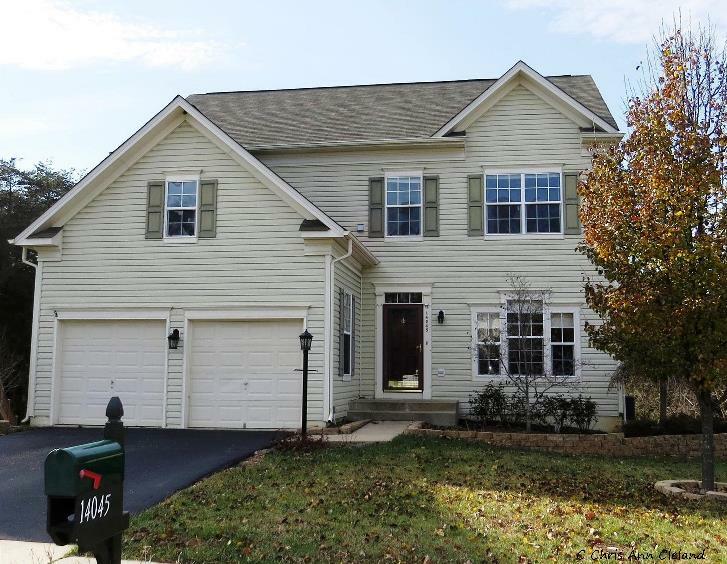 The high sold price was $476,000 and was a Ravenwood with five bedrooms, three and a half bathrooms and fully finished walk out basement. The low sold price was a Dunkirk model that sold for $425,000. It had four bedrooms, three and a half bathrooms and a fully finished walk up basement. The average of these two sales give us our new average market value for Ryan Homes in Braemar of $450,500. That’s a increase of nearly 5.5% since last report, but a decrease of over 4% since last year. Of course, there are still larger Ryan Homes in the neighborhood than are represented by these two floor plans that sold, so please bear that in mind. If you placed you Ryan Home on the market, priced to current conditions, you could expect it to be under contract in a little over five weeks. You could also expect to give about 1% of the sales price in closing cost help for the buyer. The next Braemar Property Value Report will be out in March and will detail sales from the months of January and February. In the meantime, when you are ready to sell, call me for a free market analysis of your home’s value in today’s marketplace. Since 2005, No One Knows Braemar Better! Tuesdays that feel like Mondays, following a three day weekend, always throw me off. I’ll feel like I am playing catch up all week on my paperwork, and believe me, there is a lot of in the world of real estate. And then there are my market reports. I am playing catch up on those today, after running out of time to post the NV Homes edition of the Braemar Property Value Report yesterday. That’s the report that tells you what happened with single family homes built by NV Homes in Braemar. Let’s get to it and see what happened in the last two months of 2016. Only two NV Homes in Braemar sold between the beginning of November and end of December. The high sold price was $545,000 and the low sold price was $409,900. The former was a Remington model with four bedrooms, three and a half bathrooms and a fully finished walk-up basement. It was also 3,136 square feet on the first two levels of the home. The latter was a Raleigh model with one less full bathroom, no finished basement with what appeared to be no exit and only 2,600 square feet on the first two levels of the home. These homes were very different. The average of both gives us our new average market value for NV Homes in Braemar of $477,450. That new average market value marks a decrease in average value of 9% since last report and a decrease of nearly 3% since last year. Having said that, I feel it is important to note that most NV Homes are on the larger side, so these results this edition are being skewed by a smaller home. If you placed your Braemar NV Home on the market, priced to current conditions, it may take nearly four months to get a buyer. I suspect that number will go down now that we are heading into spring. You could also expect to pay an average of nearly 3% of the sales price in closing cost help for the buyer. The next Braemar Property Value Report will be out in March and detail sales from January and February. 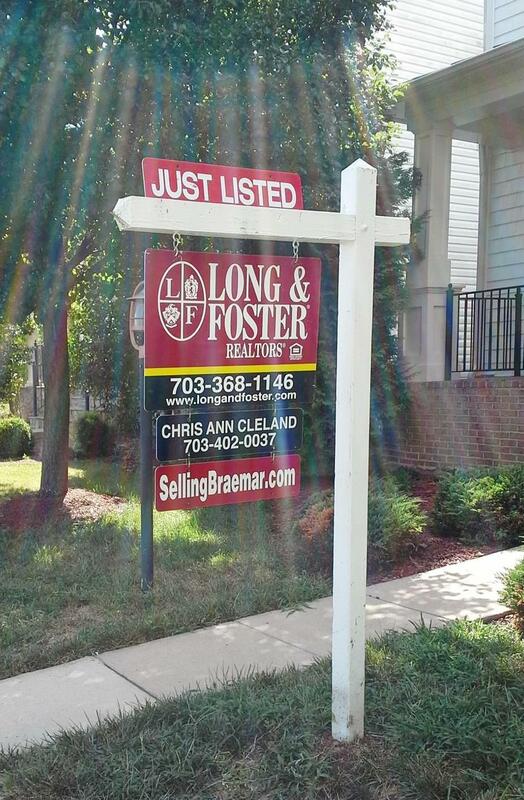 Until then, when you are ready to sell your Braemar home, give me a call. Since 2005, No One Knows Braemar Better! Working as a Bristow Real Estate Agent, I rarely even think about a three day weekend. A lot of residents of Braemar will have off for Martin Luther King Jr. Day tomorrow. Meanwhile, I’ll start my morning with a meeting in Manassas. When home buyers and sellers have holidays from work, real estate agents work. Even this Sunday night, before I call it a day and step away from my computer, I want to get out today’s Braemar Property Value Report. This one focuses on sales of Heritage Series homes for the last two months of 2016. If you aren’t familiar with what type of homes make up the Heritage Series, they are he mid-sized single family homes, built by Brookfield Homes, with two car attached garages including the following floor plans: Exeter, Yardley, Zachery & Waverly. There were two sales of Heritage Series homes between the beginning of November and end of December. Both were Yardleys. The high sold price was $420,000 and the low sold price was $367,500. Neither had a completely finished basement. In fact, the lowest price had an unfinished basement. The average of the two gives us our new average market value of $393,750 for Heritage Series homes. This means a decrease in average value of nearly 14% since last report and a decrease of nearly 10.5% since last year. Don’t get upset just yet. The last report had a Yardley with a fully finished basement sell for $480,000. Remember, we are looking at averages. If you placed your Braemar Heritage Series home on the market, priced to current conditions, you could expect it to take an average of 66 days to go under contract. You may not even have to pay any closing cost help for the buyer either. The good news is that neither of the buyers in this reporting period did. The next Braemar Property Value Report will be out in March and will detail sales from the months of January and February. Until then, when you are ready to sell, give me and call and let’s talk about the specific value of your Braemar home. We’ll look at a much broader range of comps to make sure you get the most money for your home. Since 2005, No One Knows Braemar Better! Ever wonder what the difference between the words mostly and mainly would be in a weather forecast? At this every moment, I am. Just checked Accuweather for the Bristow forecast. I’m trying to find the next sunny day so I can take a picture of my latest Braemar listing. It’s going to be mostly cloudy on Sunday and mainly cloudy on Monday. I’m thinking mostly means less than mainly, so I will be there with my camera tomorrow. And if the forecast is off completely, I’ll be there the next day too. Of course, cloudy days give a more even disbursement of light, making for good exterior shots, so the cloudier of the two may not be bad either. Either way, a great Braemar Listing Agent does what it takes to get the job done right, even if it means taking the exterior shot multiple times over a few days to get the best one. Right now this Braemar Real Estate is bringing you the Braemar Property Value Report for Courtyard Series homes. Courtyard homes are one of three different floor plans that share a private courtyard driveway and have very limited outdoor spaces. Models include the Arlington, Clarendon and Ballston. The was only one sale of a Braemar Courtyard home in the last two months of 2016, which is our current reporting period. 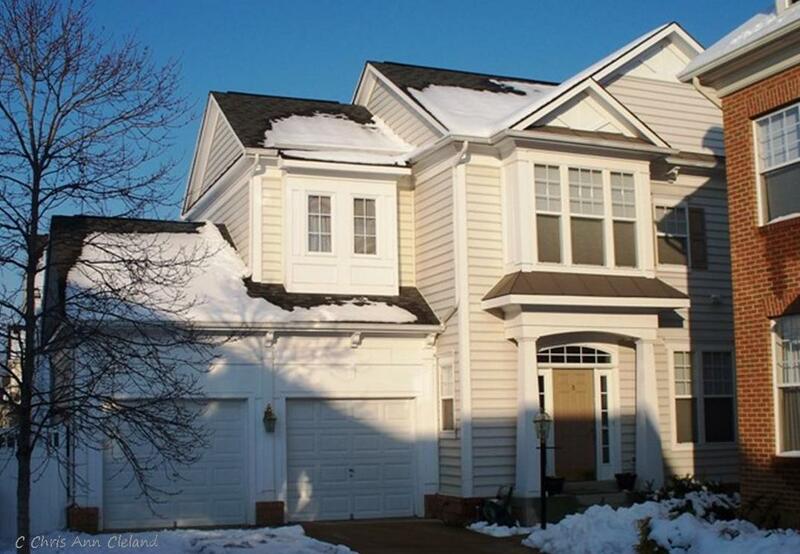 It was a Clarendon model with four bedrooms, three and a half bathrooms and a fully finished basement with no exit. It listed for $330,000 and sold for $343,500. That is lower that any sale last report or this time last year. If it weren’t a Short Sale, it would likely be used as a comparable sale for traditional equity sales going forward, until we had something better to use. For now, breathe a sigh of relief. If this had been a regular sale, it would have meant that values were down over 11.5% since last report and down nearly 6.5% since last year. If you placed your Braemar Courtyard home on the market, using this sale as a measure, you could expect your home to be under contract in about a month and a half. You may not even have to give any closing cost help on behalf of the buyer. The next Braemar Property Value Report will be out in March and will detail sales from January and February. Until then, when you are ready to sell your Braemar home, give me a call for a free market analysis. Since 2005, No One Knows Braemar Better!